According to YouTube, Vodafone, Chili ’s, 20th Century Fox, Headspace, and Maybelline are some of the brands that are already using the new ad extensions, which are limited to mobile devices for now. As the online video industry continues to heat up with Facebook and Instagram looking to move further into YouTube’s space, platforms are going to constantly look to one-up the other. One of the main ways to do this will be to increasingly cater to advertisers, providing them with options that increase brands’ reach. Interactive, actionable ads sure look to be one way to do this. The battle for advertising dollars will not only bring in more money for YouTube, but also the YouTube creators who create content for the site, perhaps convincing them to keep creating on this platform as opposed to another. Before this announcement, advertisers had a more limited selection of interactive ad extentions from YouTube. Location extensions, for instance, can point viewers to a place related to the ad that's close to them. Now, advertisers will have a lot more options when it comes to these interactive extensions. 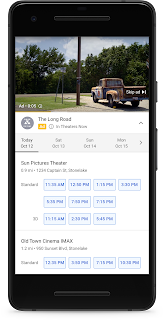 For example, a movie trailer advertiser could show users local showtimes that they can click through and be taken straight to a site like Fandango or Atom. 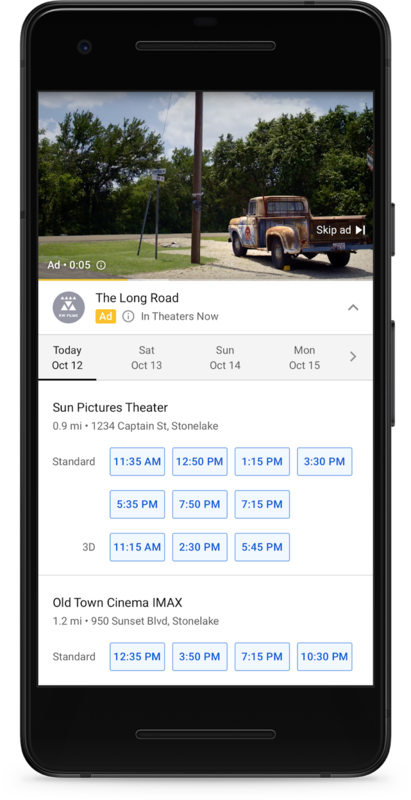 Viewers could also potentially download an app or booking a trip through these kinds of new YouTube ad extensions. I encourage you to take advantage of this research paper writing service if you have difficulty in writing academic papers.